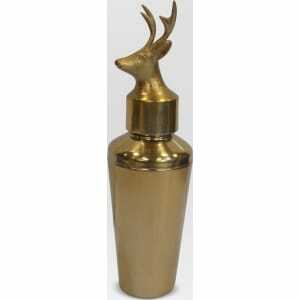 Stag Head Cocktail Shaker - Brass - Threshold from Target. h to your barware accessories. Whether you're serving behind the bar or displaying it as part of your decor, it's sure to catch the attention of all your guests. Color: Gold.